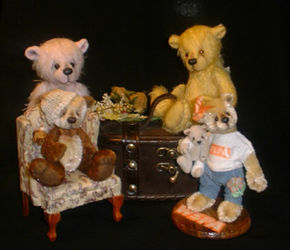 Here where I spend my time making my bears and dolls , spending most of my free time, and staying up most of the nights! 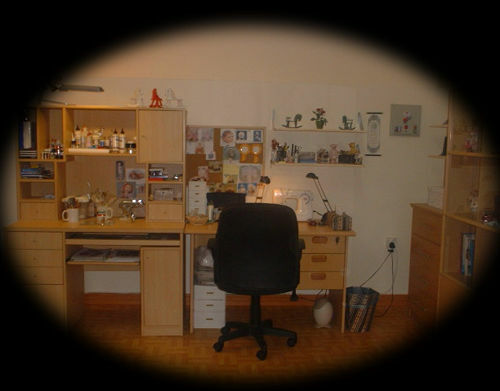 It's a new studio on top of our house , it's a very quiet room , and really a lovely place to hide from the busy and noisy life .. 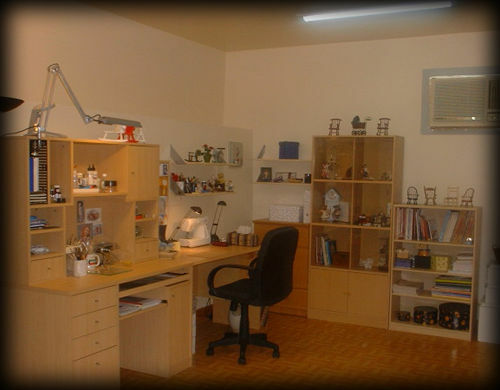 I just want to share with you some pictures of my studio , and hope you enjoy this visit .. 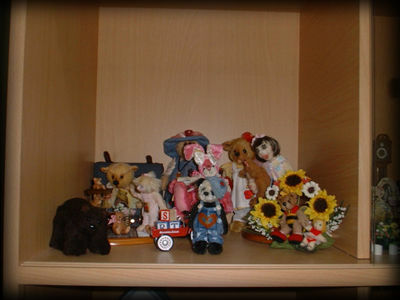 Here you can see some of my creations inside my display cabinet.